Seraj US and Seraj Palestine are two organizations that function as one. The only way Seraj is able to do such valuable work in Palestine is because of generous US donors. The only way US donors can engage Palestinian communities at such a deep level is because of our on-the-ground staff, advisors and volunteers in Palestine. Seraj Palestine. 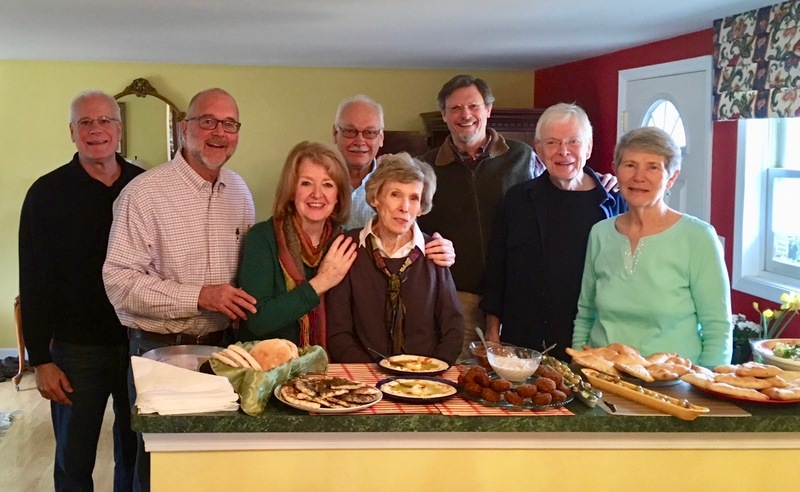 Laurie Salameh, our Director in Palestine, (Laurie and Estephan are our co-Founders) recently put together a comprehensive Update (with great pictures) on Seraj's work in Palestine. Laurie provides a full report on each of the 8 Libraries. Please note that some of the libraries struggle to fully implement the vision. Life - and work - is hard under Occupation. 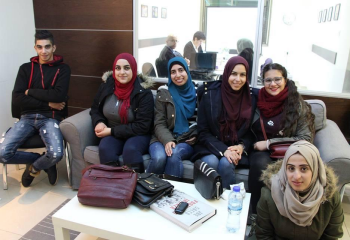 The library in the Aida refugee camp in Bethlehem is thriving in partnership with the Al-Rowwad Cultural Center. "able to raise funds from within and outside their village to build a four-story community center with an attached soccer field! [The head of the Youth Council] thanks Seraj for not only establishing the library, but staying committed to our work together." Burham village. 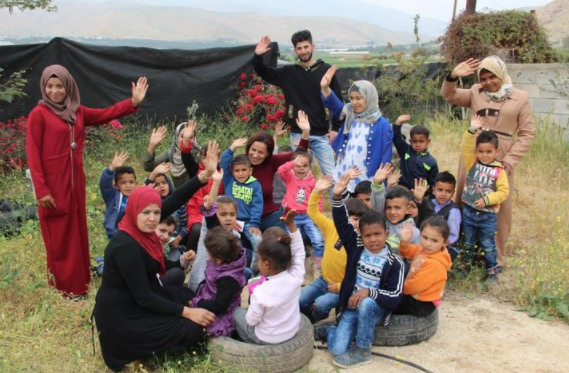 The Seraj Library in Burham is led by a committed and driven group of women who also run the day-care and summer camps for their village and the surrounding ones. Because their daycare makes a lot of use of the library, we were thrilled to be able to surprise them with children’s books, educational games, toys, a sun-cover for the outside and a bathroom! Jiftlek village, Jordan Valley. Jiftlek is different from the other areas in which we work, as they face daily demolition fears, severe electricity and water shortages, limited access to education and very high unemployment. Our Scholarships for library volunteers have a huge impact on the students: One college student wrote: "my time with Seraj was short, but it was an amazing experience and the best year of my life." Two New Libraries. Negotiations are in process toward the establishment of libraries in two small West Bank villages. Hizma and Abu Falah. Monthly Cultural Activities. The libraries are planning for the tour of a German Guitarist and a Spanish Cellist as well as for the annual Ramadan Nights celebrations. 2017 Report to Donors. At each calendar year-end we provide a brief financial overview of how we are managing your generous gifts. See the 2017 Report here. (previously sent to all donors). January 2018 Financial Update. As of February 2018 we have collected $127,000 in the fiscal year. An all time high! This has allowed us to move forward with the establishment of two new libraries (#9 in 2018 and #10 in 2019). However, we'll need continuing donations to fully fund these two new libraries. We hope you will participate. Paddock Grant. Seraj is the proud 2017 recipient of a grant from The Bishop Robert Paddock Fund Community Funds, Inc. From our proposal: "To bring Seraj to that new level, we intend to undergird the sustainability of local libraries, widen its network of collaborative partnerships, expand programs that reach more Palestinian children in more villages and create a national Palestinian Board consisting of prominent figures who will guide this project in its growth consistent with the values spelled out above." Be knowledgeable about Palestine/Israel, or willing to learn. Commitment to attend board meetings as a priority. Support Seraj financially each year to whatever extent one is able. Set personal goals annually for level of work for Seraj (such as: add 5 persons to donor list; make two Seraj presentations to churches/organizations). Serve and contribute to one of the board's working groups. Strategic Planning. The Board, in a effort to enhance our work in the US, has labored to clarify our vision, values, goals, objectives and action steps. We now have a Strategic Plan to guide our work. Inclusion. All faiths, genders and races. Education. All children deserve access to quality education. Empowerment. Of Palestinian individuals, organizations and culture. Interdependence. We are all inter-connected.